How do we protect spacecraft from catastrophic collisions with space junk? 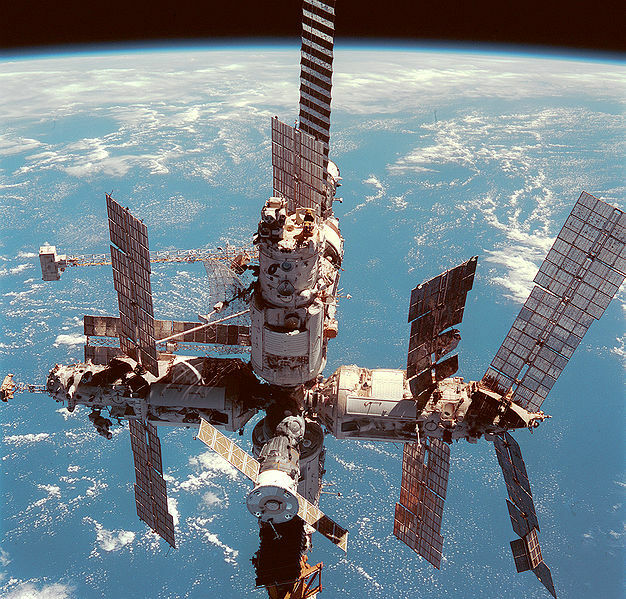 The flecks of black on Mir's far right solar panel are damage from micrometeorites. 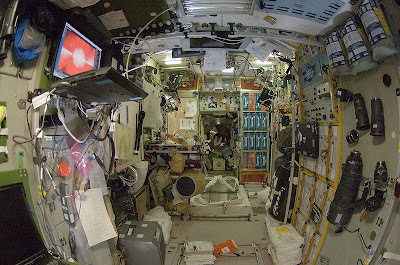 Space junk includes everything from discarded rockets to tools that slip out of astronauts' hands during spacewalks. There are over 20,000 pieces of trash bigger than a baseball in Earth orbit; 500,000 pieces that are bigger than a marble, and millions of additional smaller pieces. The amount of trash in orbit is increasing as a rate of about 4% a year... and each piece is travelling at up to 17,500 miles per hour! 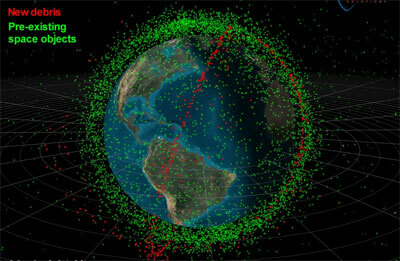 Space junk: the debris added by the 2009 Iridium-Kosmos collision is shown in red. The U.S. tracks tens of thousands of pieces of orbital debris. Sometimes it can provide advance warning to allow a craft to maneuver out of a potential collision. But we can't prevent every collision that way. 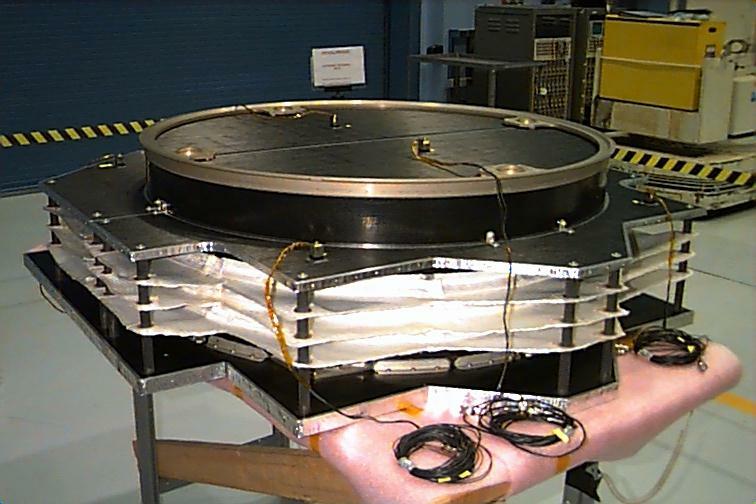 So how do we protect spacecraft from being slowly pulverized by tiny pieces of high-speed trash? The U.S. and Russia have developed deflector shields: strong, lightweight material (like Kevlar) assembled in staggered layers, able to dissipate some incoming particles. Beware, Romulans and Russian communications satellites with degrading orbits. Every International Space Station module comes with some shielding, but one module in particular, the Zvezda module, is extra-protected. This is necessary because it contains the Station's life support systems. If Zvezda was crippled, it could render the Station uninhabitable. 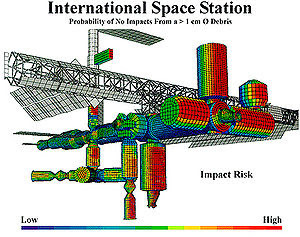 Debris impact risk on the Station. The Zvezda module is on the far left of this diagram, in blues and greens. 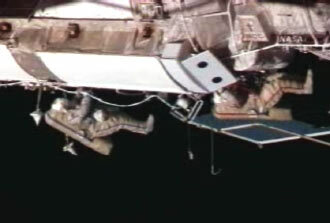 Zvezda is covered in "Debris Protection Panels," which astronauts clamped around the outside of the module after it was launched into space. Astronauts installing the panels on the Zvezda Module in 2007. These panels are only about an inch thick, but they'll stop micrometeorites and the smallest pieces of debris from breaching Zvezda's walls. Zvezda. 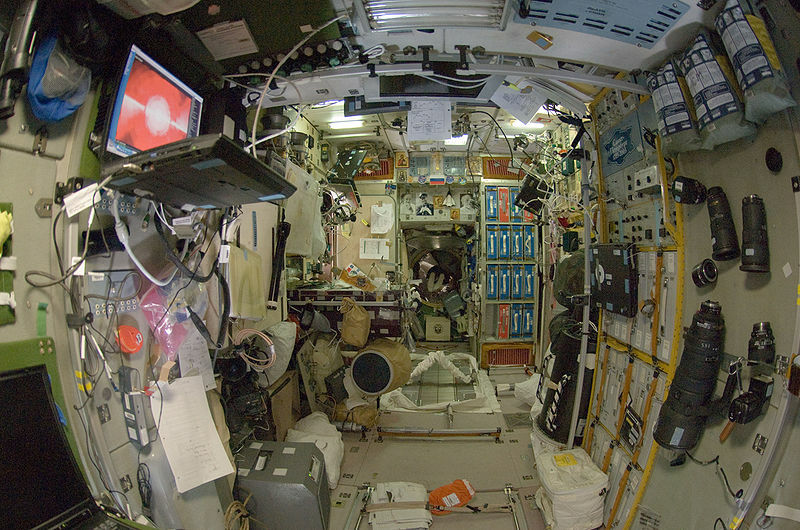 Debris panels don't keep the inside tidy. See the various layers of material, each slightly separated from the other. 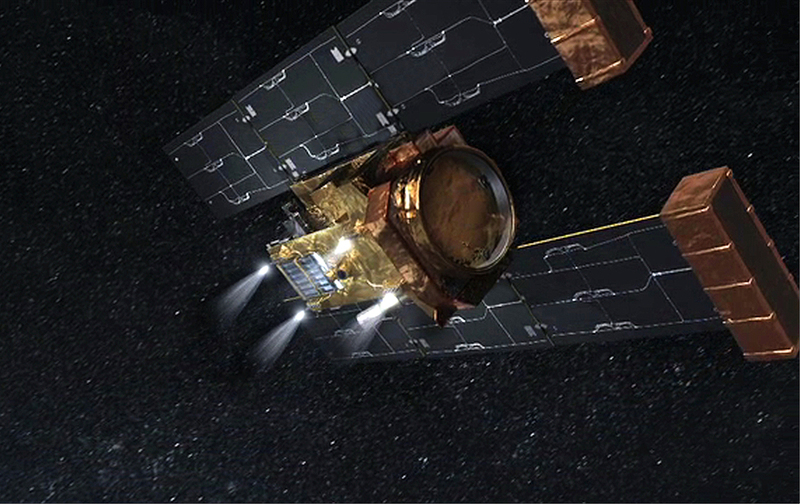 Stardust was an incredibly successful spacecraft. 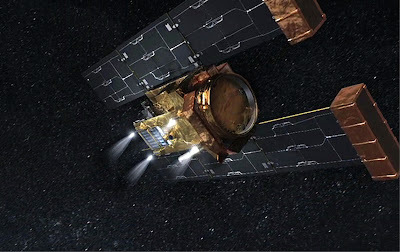 It encountered two comets and became the first spacecraft to scoop up a sample of comet debris and send it back to Earth. It functioned for over twelve years, and its shields never failed! The rectangular boxes in front and the large circle in the middle are the shields. 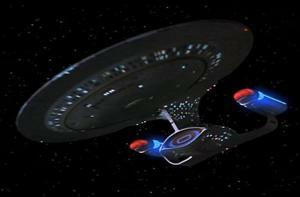 It's neat to think that we have deflector shields on our spacecraft, just on Star Trek. But, shields provide limited protection. They won't save you from the Kessler Syndrome: low Earth orbit becoming so cluttered with junk that collisions cascade out of control. In short order, every spacecraft in orbit would be pulverized! Sources: Lockheed Martin; Space Daily; NASA; Wired Science; Space.com.